St Bronagh's Primary School aims to be an educational piece in the community by allowing pupils and locals to see renewable energy in action as well as how nature and architecture can come together. The school has acted as a community catalyst in the local area with another two projects being part of this first phase. The original school building is now being transformed into a youth club to provide further spaces for local community groups to gather. 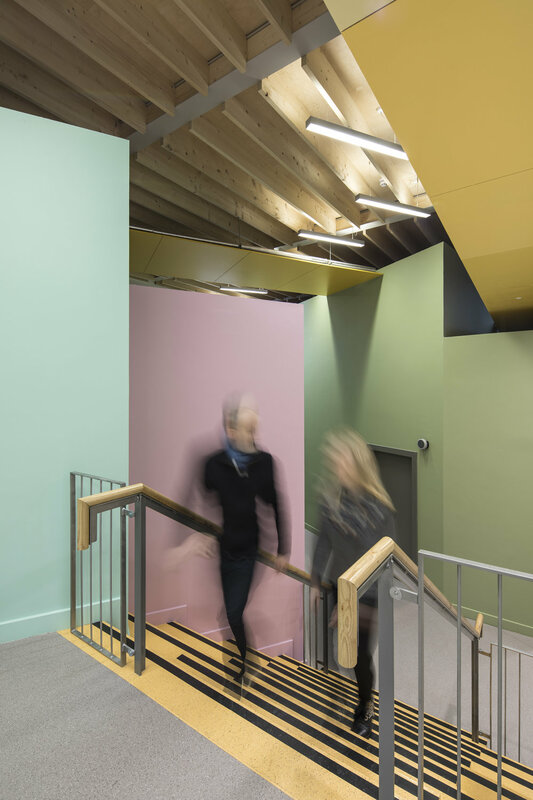 Our proposal has been shortlisted in the 2018 RICS Awards within the 'community' and 'regeneration' category. 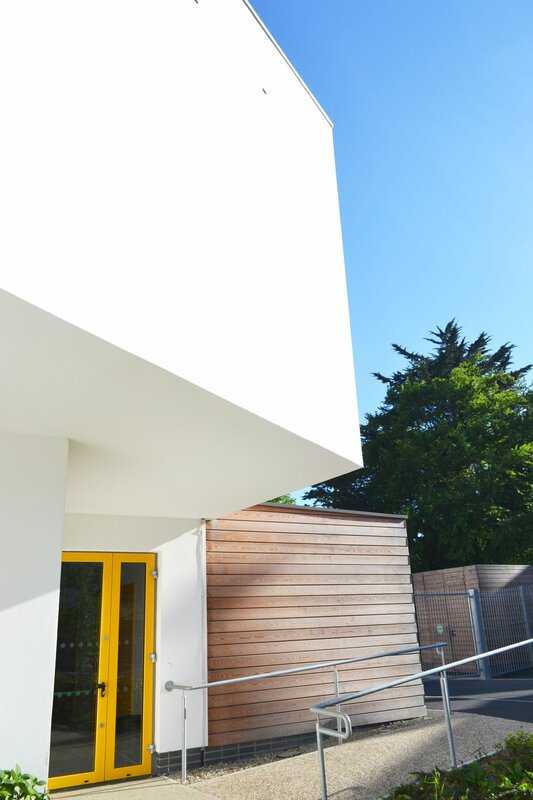 In May 2018, St. Bronagh's Primary School was awarded the Liam McCormick Prize for Building of the Year, RSUA Project Architect of the Year (Paul McMahon) as well as the Sustainability Award. 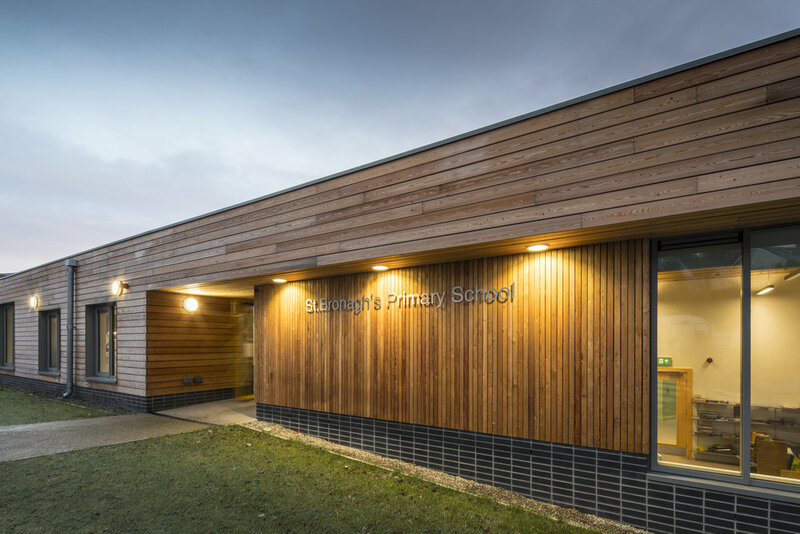 The long low building of St Bronagh’s Primary School is modelled in a restrained and structured contemporary architectural idiom, with a timber clad lower front section reading against a taller rendered section. There is considered detailing throughout, enhanced by a high standard of workmanship. The plan hinges through 45º, with the taller multi-purpose hall accommodated down a slope. 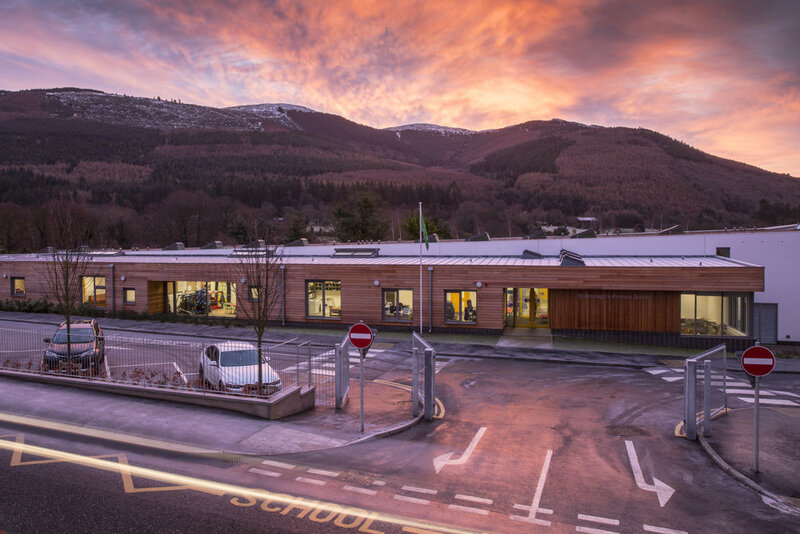 Its seven south-east-facing classrooms have large glazed openings that provide atmospheric frames to the mountains beyond. 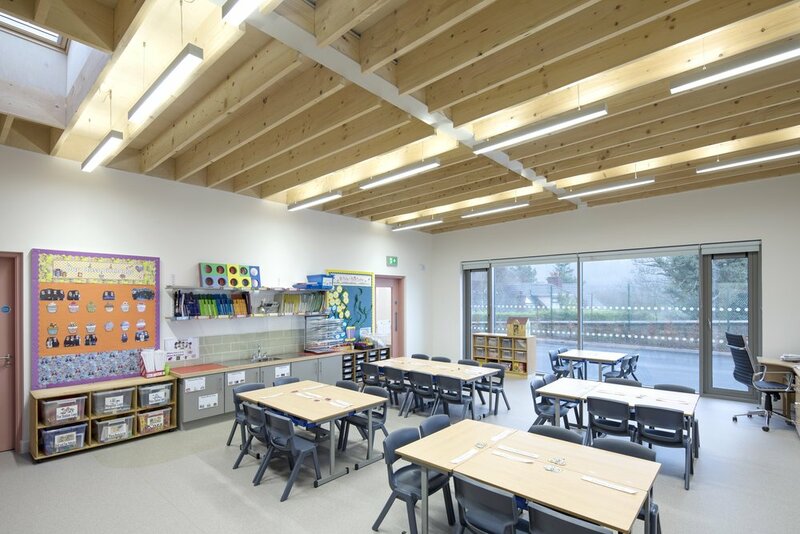 Roof lights pop through the roof, allowing light deep into the plan and reducing the building’s energy requirement. Pupils were also involved in painting the roof cowls to add their own mark to their school.